Welcome to the office of Dr. David Goldstein, a leading pediatric dental practice in Orlando, FL for the past 20 years. We believe that superior oral health is vital for a child’s development, and we are here to help every step of the way! 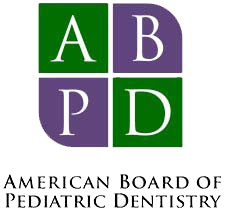 Our mission is to provide excellent dental care for infants, children, adolescents, and those with special needs. We believe children are unique and special individuals. We treat each patient as if they were our own and embrace the opportunity to make your child’s dental visit fun, exciting, and educational. Our goal is to provide the highest quality pediatric dental services for your child in a warm, compassionate, kid-friendly, state-of-the-art facility. Providing specialized pediatric dentistry in a warm caring environment. We are conveniently located off Conroy - Windermere Rd on Hiawassee Rd less than a mile from Universal Studios.